This is a selfie of my toes. 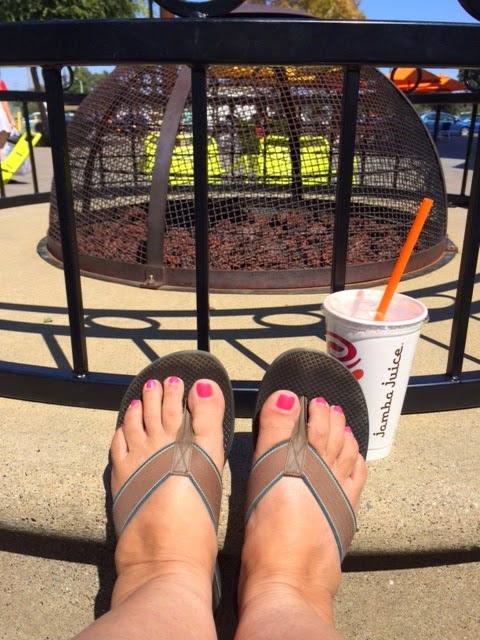 Me and my toes were chillin’ out at South Shore Center on a recent Saturday. I couldn’t even remember the last time I had a Jamba Juice and then settled into one of common area’s lovely chairs. Great afternoon of people watching. Boomer-Chick-Musings just the way I think about things. 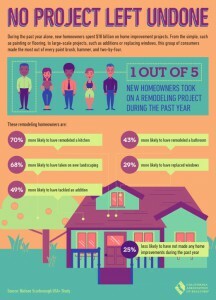 I personally can’t make sense of these numbers, but I think the message is most new homeowners put some extra $$ into their property in the first year. Most properties need something. I know my husband and I, and his mom (who invested with us), needed to put in a concrete foundation ASAP when we purchased our 1898 Colonial Revival home a long time ago. We needed the space for our kids! In the meantime we’ve torn off and put on roofs, done seismic upgrades (engineered), had some windows replaced, added a spa room, and that’s all I can think of at this late hour! If I looked at the permit history I’m pretty sure more items would be on the list. My point is…upgrades often need permits. Permits cost $$. But permits being finaled and in place will often net the Sellers more $$ and offer security that it’s at least to code and is safe. Plus insurance is also a consideration….those folks want to know what they are insuring. Broker Tour Tues 9 this week….saw all of them by bike! Alameda Real Estate Awards….remember this is only my perspective! Get me to rehab! this would be quite a project for a well-located property…but not sure about the price. Looks like everything needs to be done. Winner single level, in the Harbor Bay Community…most local agents would call this 2+ bdrms. Doesn’t look like rehab…but it might be…. Now that I’ve done this twice (it just disappeared off my screen)…I’m satisfied! Go out and do something good! And don’t wait! ps Let me know if you need vendors….had a client call and ask about housekeepers! Shot an answer back to her straight away. Next Post Next post: How’s Your Memory?